5 Bedroom End of Terrace House For Sale in Cranbrook for Asking Price £495,000. This property's price has dropped from £525,000 to Asking Price £495,000. This extended family home once housed 10 family members. A large two storey extension brings 2 households together and provides versatile accommodation for the large family at an affordable price. With double entrance this house can be adapted to suit almost any family need from extended family to a house full of children. 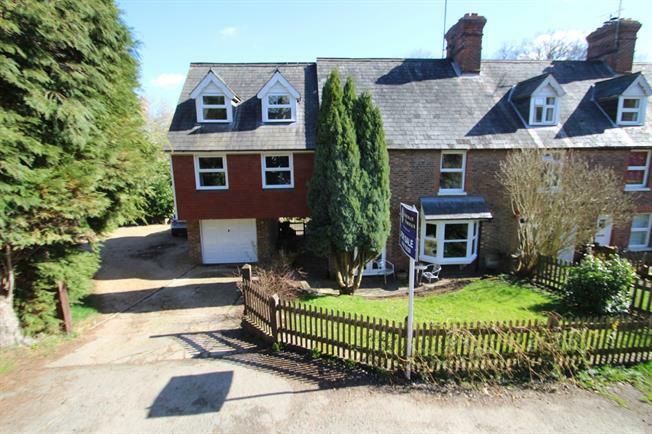 The original house was built around 1874 and has a modern fitted kitchen, large double aspect sitting room and downstairs cloakroom, upstairs there are 3 bedrooms and a family bathroom. The linked annexe provides a large sitting room, fitted kitchen and on the top floor a bedroom and bathroom. Outside at the front is a car parking area for about 4 cars, utilised by this house for the past 30 years albeit not owned directly. The rear garden is landscaped with elevated decked area, mature garden with pond.